Here you can find information and orientation for disabled guests for a carefree holiday in Gstadt am Chiemsee. We want our guests to spend a comfortable and happy holiday in Gstadt, allowing them to enjoy the experience of nature. This is why we want to provide people with restricted mobility, hearing or vision disabilities, as well as families with small children and senior citizens, with the information you need to feel at home with us here in Gstadt. 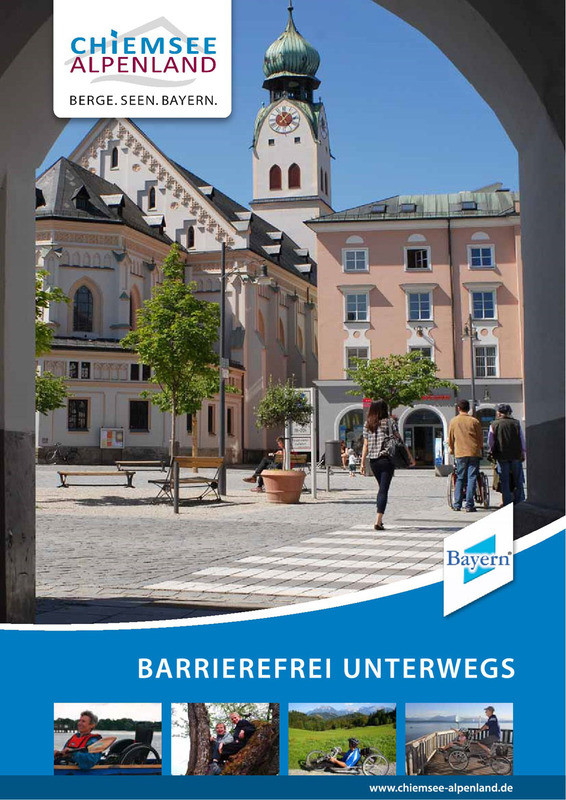 Our tourist association “Chiemsee Alpenland” also offers a free brochure „Disability Access on your Trip“, („Barrierefrei unterwegs“), which you can download >> here. On our map you will find offers and addresses, offering partly or completely barrier-free travel.